BTS�has been chosen as the models for 'Coca-Cola's upcoming campaign. BTS will be promoting with Coca-Cola starting in June for the '2018 Russia World Cup'. 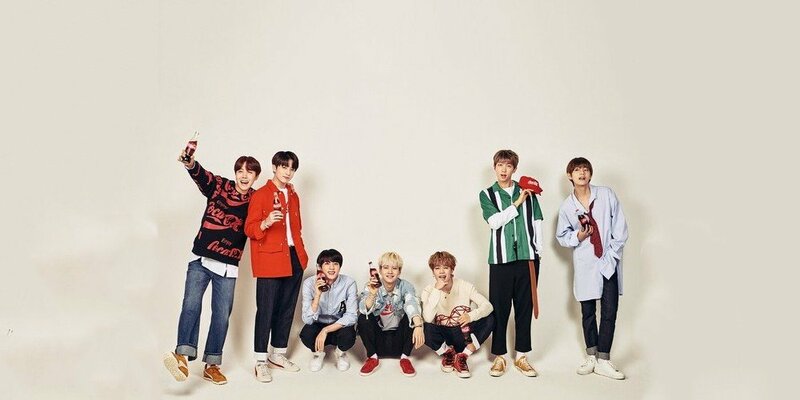 Coca-Cola said, "We chose BTS as our models because their powerful energy on stage and passion for music matched well with the heat of the World Cup that everyone in the world enjoys, and the happiness that Coca-Cola brings in the hot summer. Starting with the Russia World Cup, Coca-Cola will be working with BTS to bring an exciting, special experience for the summer." Check out their first promotional photo above.